With the industry’s rapid rate of change, sticking to the same format means risking stagnation. Even the most prolific selfie snappers of the Instagram generation are the first to admit their attention spans are short. Forward-thinking restaurant chains interested in being around for the long haul understand that remaining relevant among this incoming wave of restaurant-goers will depend on constant reinvention. Whether an attempt to reach different customers, lower costs in a new market, reposition the brand or highlight a cause they stand for, many restaurant chains are testing and piloting alternative formats. 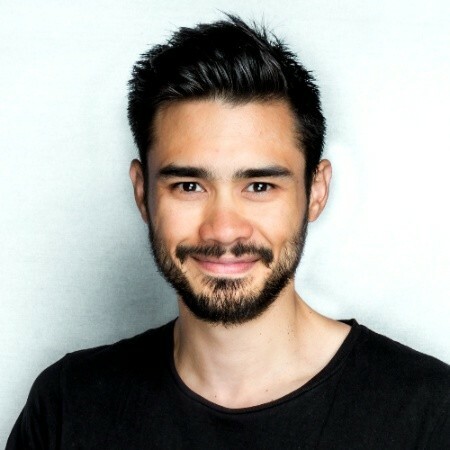 While the following initiatives are by no means guaranteed to help these companies thrive, what’s important is the willingness to experiment, and employ new strategies. The emerging pizza chain has recently hit the streets of Miami, dispensing its signature oblong shaped pizzas from black and white food trucks. Rather than opting for a brick and mortar location as it feels out a new market, &pizza has teamed up with UberEats to deliver from shifting locations across the city, all the while collecting valuable data. The company will then use these insights to inform site selection decisions when it lays down more permanent roots. This year opening two new restaurants without dining spaces or drive-thrus, Chick-Fil-A is exploring ways to meet a rapidly growing demand for delivery. The locations also shed light on where the future of quick service might be headed. Many other chains are also turning to facilities aimed solely at pumping out orders for delivery, either building their own or utilizing virtual kitchen providers. 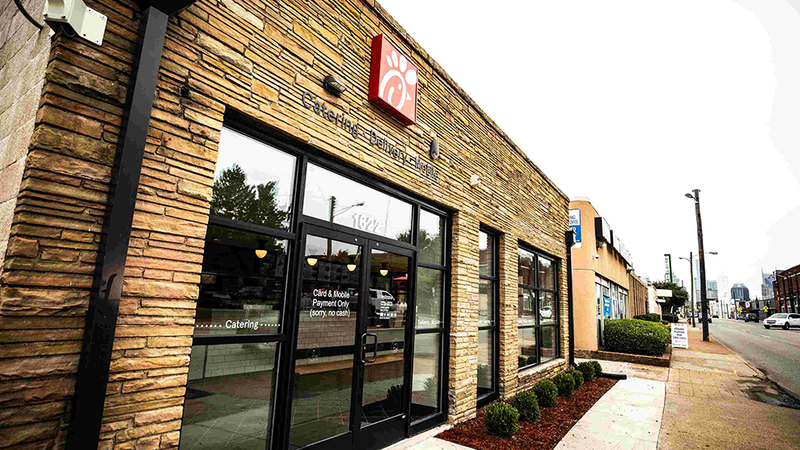 However, different to most other initiatives, at Chick-Fil-A’s new Nashville location, customers will find a window to walk-up and to place to-go orders. 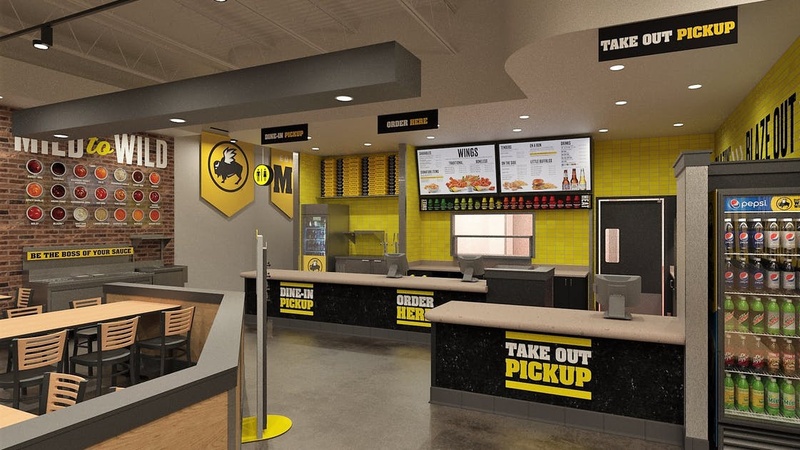 An attempt to reposition itself in the face of sliding casual dining sales, the sports-centric wings chain this year opened two B-Dubs Express locations in Minnesota. The smaller-format, counter-service concept features a “sauce wall” and self-serve beer stations, allowing customers to get sauced at their own peril. Since opening its first Swing Suites in early 2017, the eatertainment brand has quickly expanded the scaled-down concept to more than 20 locations, with several more coming online soon. 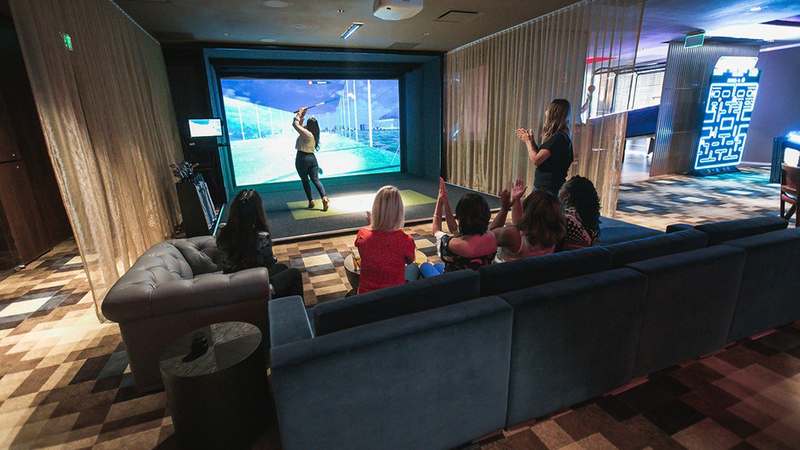 Rather than the sprawling, multi-level outdoor driving range setup of a standard TopGolf, at a Swing Suite, guests hit golf balls at a wall-mounted simulator, surrounded by lounge chairs, and a bar. Owing to the significantly smaller footprint, the concept has so far appeared in hotels, sporting venues, and food halls, offering versatility and helping to grow the brand. 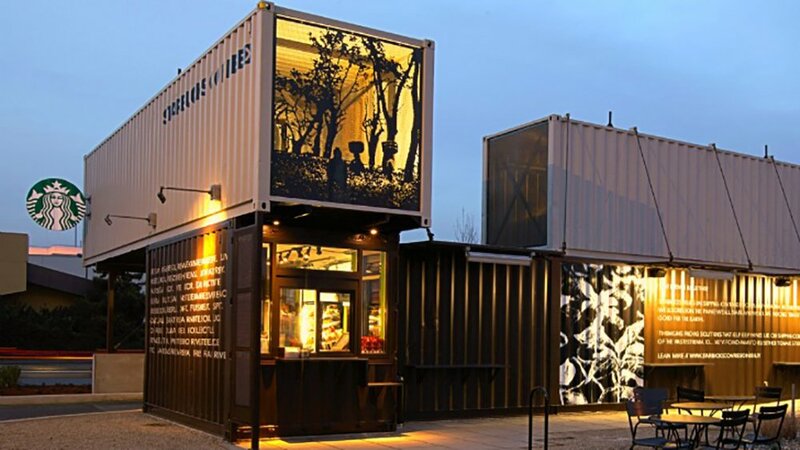 Starbucks first revealed its shipping container designs back in 2012. However, the global coffee giant continues to experiment with the format, recently unveiling its most striking iteration to date. Consisting of 29 recycled shipping containers stacked on one another, the store is also the first of the company’s “Greener Stores” initiative. At the same time, Starbucks plows ahead with its Roastery concept, offering customers more sensorial, exploratory encounters with the brand. Also in an attempt to lower investment costs while venturing into new markers, Italian pizza and pasta chain turned to a smaller format when it opened its tenth US location earlier this year. 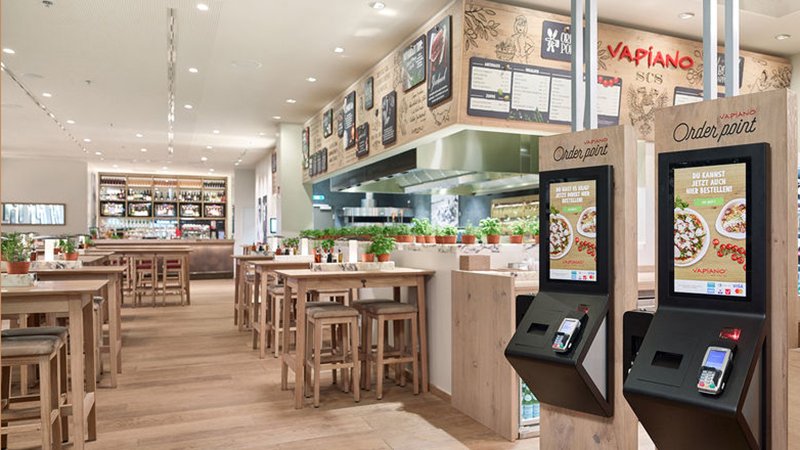 The Mini Vapiano unveiled in Chicago is the fourth of its kind, and part of an ongoing pilot to help the company determine the concept’s long-term viability. Another casual dining chain seeking to diversify by dipping their toe into the fast-casual scene, Cracker Barrel has struck some success with its millennial-focused Holler & Dash biscuit houses. With seven locations under its belt, the company has also been using the restaurants as data collection hubs, testing new technologies, as well as carefully mapping customer preferences to better understanding future strategy. The eat and play operator this year unveiled two downsized locations, designed to cater to smaller populations of 200,000 to 500,000 people. 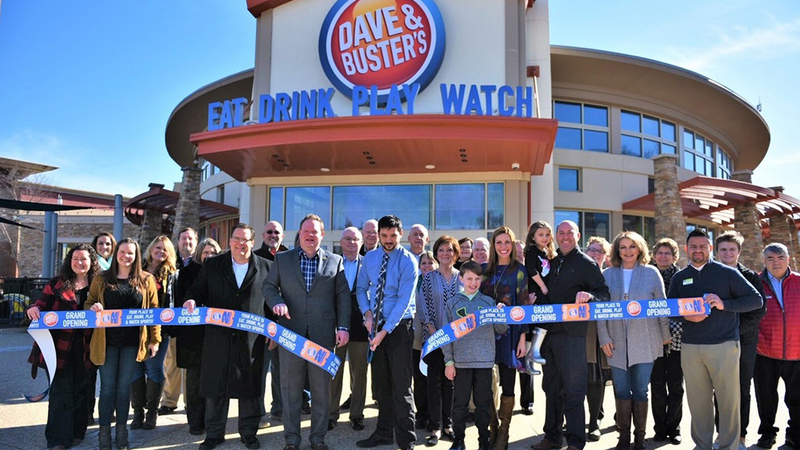 At 17,000 square feet, the new design is around half the size of a traditional Dave & Buster’s. If the new stores perform well, the company expects to introduce another 20-40 locations in similar markets across the country.